A few months ago my dad and I joked that if I didn’t find a job soon I could just move back into my parents’ basement. Just a few weeks later and we didn’t know if my parents even still had a house. When the Waldo Canyon Fire started last week, my mom sent a quick, nonchalant text message saying they were being evacuated from their home and staying with some friends. She said they had the cats, photo albums, and her new tennis racquet. A few days later the fire grew from 5,000 to 15,000 acres and engulfed our neighborhood in smoke and flames. I didn’t know what to do with the news. It was dramatic watching pictures pop up online of homes near mine burning. I felt helpless and utterly alone being so far away from my family and the community of my childhood. By far the worst part was seeing all the beautiful land burn and imagining all of the dead trees and animals who lost their homes as well. It was the views of the foothills from our doorstep that made the home such a sanctuary. Our family’s house nestles up at the bottom of the majestic Rocky Mountains and is minutes from the incredible red rocks at Garden of the Gods. Pikes Peak, where the song “America the Beautiful” was written, is on the other side of our foothills. We have the same deer who graze in our yard and sit on the compost pile. Everyday we watch bunnies nibble on the grass in our yard and find my dad’s garden. The home was where my parents have lived for almost 20 years, since we moved to Colorado from Germany. I spent my middle school and high school years there, and some years here or there after then (I am a proud member of the boomerang generation after all). Images of my home kept coming into my head…the fort I made with the neighborhood kids up the hill…the living room with the cats sleep in the sun…my favorite rock perch with a view of the city…opening the garage door and seeing my dog’s wagging tail. As I looked at photos online and stared at maps hoping for information about our house and the beautiful land, my heart grew heavy. For days I obsessively checked Facebook and local news sites looking for updates and news about the fire, which only made me feel more anxious and lonely. After staying up all night feeling helpless I took myself to the beach. I was ready to let go and hear in my heart what was to be learned from this experience. I wandered aimlessly for hours along the ocean — hiding my tears with my large sunglasses and facing my grief. And yet a part of me wasn’t ready to grieve as I wasn’t 100% certain of the outcome. There were pictures of things burning, and the maps had a fire marked on my street, but something in me wasn’t ready to let go yet. Everything was still so uncertain and it was in this powerful, transformative uncertainty that I found my ground again. 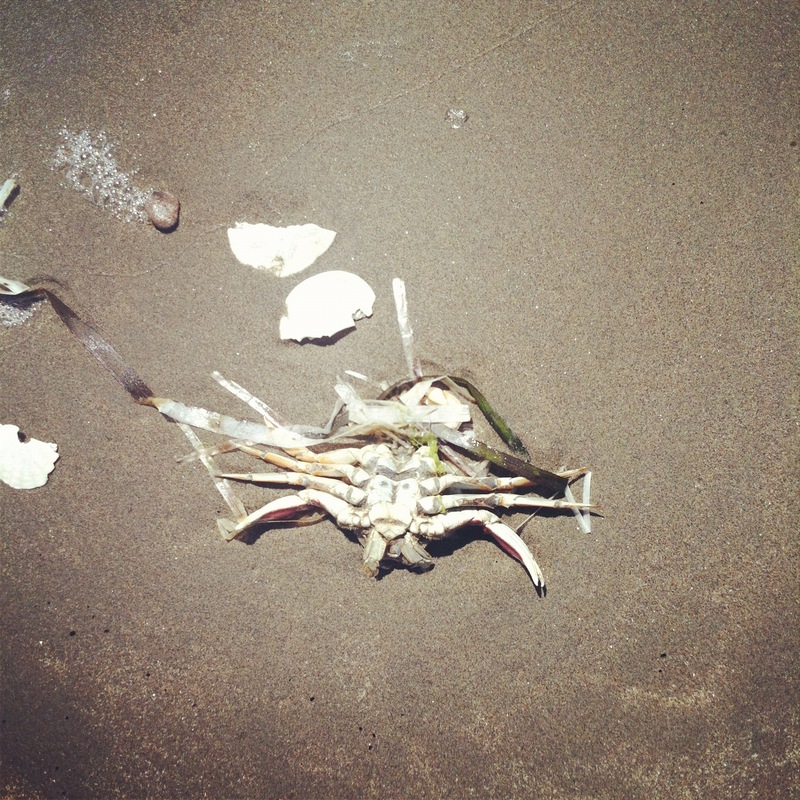 On my walk I saw several dead crabs on the ocean. In an odd, sad way they reassured me that my home was safe because I had it with me at all times. I also began to understand a part of me would die if my home was gone…and that was okay. It was then I realized I could fully accept either outcome — home or no home. Childhood gone or childhood intact. Both were options and both had gifts to give. Fire has many sacred messages to give and yet the meaning of fire is in itself paradoxical as it simultaneously destroys and creates. Cultures around the world recognize the purification and cleansing of fire. The Hindu goddess Kali catalyzes death and rebirth. In Greek mythology Prometheus risked the wrath of the Titans to bring fire to humans as an important part of our survival as a species. For alchemists the element fire represents transformation and an upward rising towards our divine nature. Chinese tradition speaks of fire in the I Ching (Book of Changes) as a symbol of clarity, independence, healthy, and vision. In homes the hearth (see word “heart”), or fireplace, is considered the center of the home as it is used for keeping warm and cooking, before the time of stoves. Anyone who has ever been to a party knows the kitchen is where people gather. And when someone is lucky enough to have a fireplace…everyone wants to sit near by. The adage “keep the home fires burning” refers to people keeping their homes warm while their sons or husbands were away at war (this from The Free Dictionary). It implies not giving up and keeping spirits up during hard times…especially during the most destructive wildfire in Colorado history. As I type this my parents have just received word that our house made it and can return home tonight. However, only a few doors down the neighbors were not so lucky. 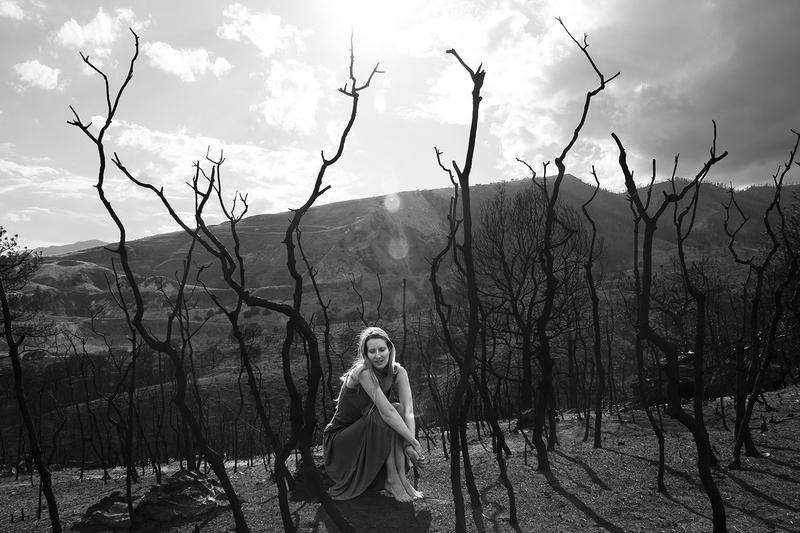 I’m sad for those who lost their homes and amazed at the choices of a wildfire. While my mom wants to believe it was the Prayer Flags they brought back from India earlier this year, that protected our home…I think it was something else. Something I can’t pretend to understand. For whatever reasons our physical home still exists with the reminder that many trees and other houses in our neighborhood had a different destiny. My heart weeps for those who were affected by this fire — our neighbors, the trees, the animals, and the soil. The fire had many lessons to teach us as it cleansed our homes and hearts. I know now more than ever that I am who I am because of those mountains. They say home is where the heart is, and right now mine is with Colorado Springs. Beautifully written BEcky…so thankful and grateful your home and family are safe. I send prayers of healing to all of those who have been affected. Thanks Lisa and your prayers are very much needed! My heart is both heavy and happy at the same time. I have read this post about 10 times 🙂 It is so healing and uplifting for me..I walked around our house inside and out this morning..I will watch the foothill and our neighborhood “rebirth”. Beautifully written, BEcky. So glad your mom and dad and your home are safe. Hi, i think that i saw you visited my blog thus i got here to “go back the favor”.I’m trying to find things to improve my web site!I assume its adequate to use some of your ideas! !